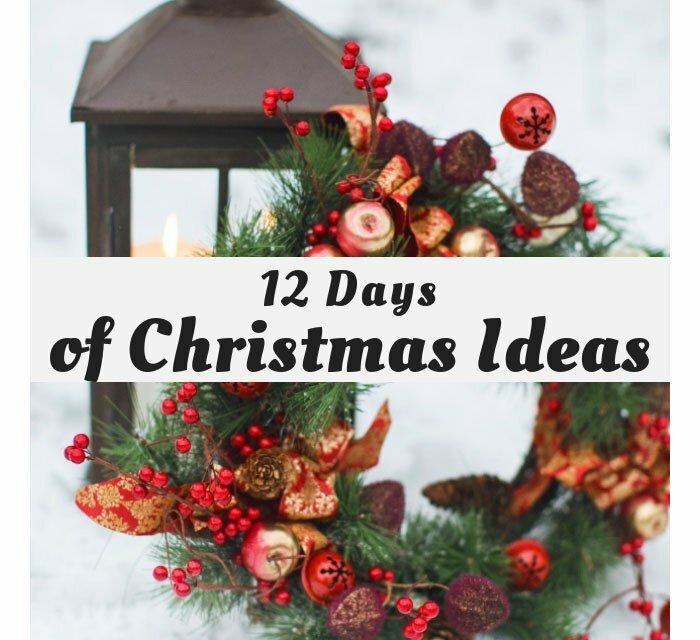 It’s Day 7 – Holiday Decor Ideas! 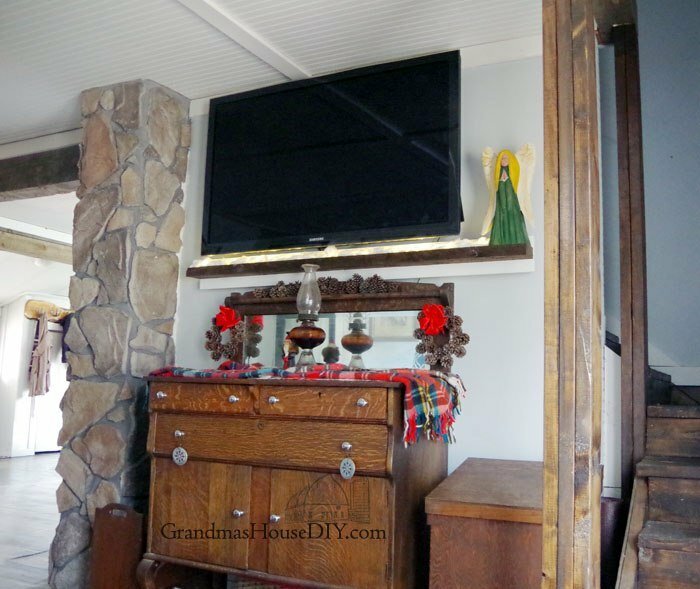 Decorating my mantel and entertainment center for Christmas! 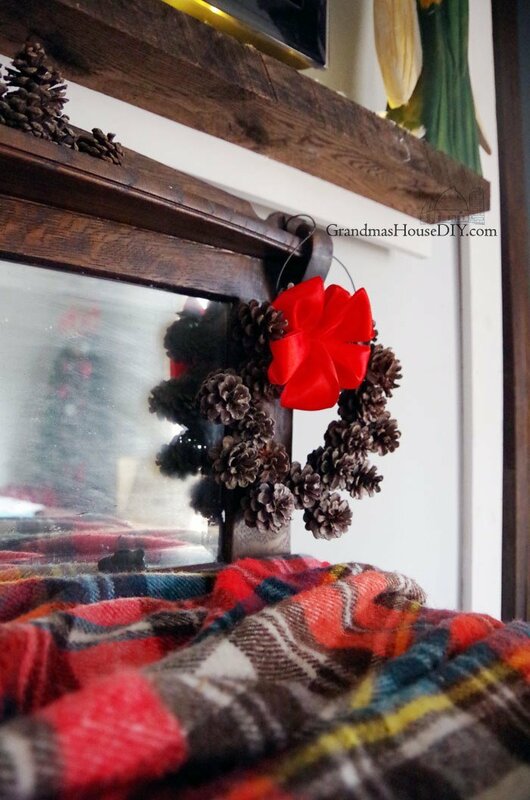 I already confessed in my last post about my homemade Farmhouse ornaments that I had not intended to put up a tree this year… Well that lasted about ten minutes lol I’m definitely having a tree this year! Besides that the rest of my living room was just crying out for some holiday decor. 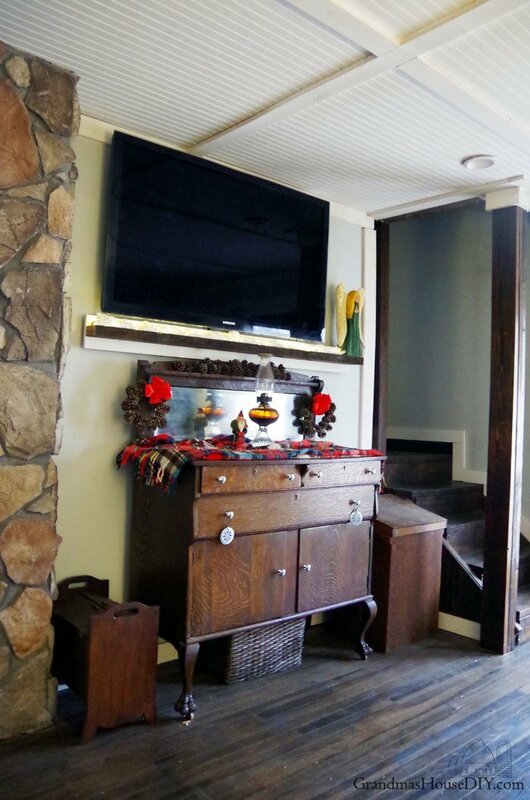 It’s Day 7 – Holiday Decor Ideas! 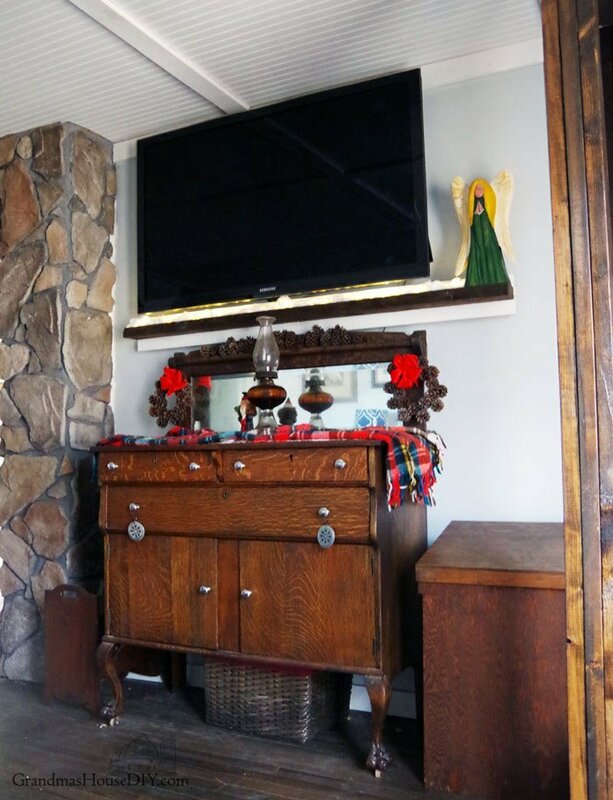 My entertainment center (an old buffet of my grandma’s) is one of my very favorite pieces. 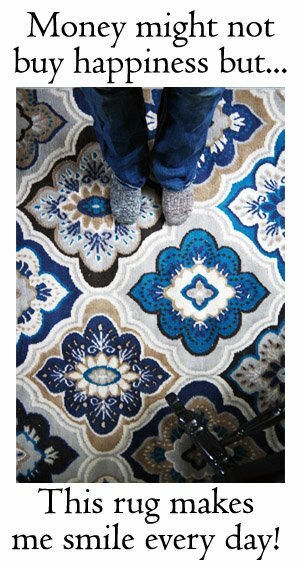 I know I mention “favorites” a lot but this piece never fails but to make my heart flutter. It deserved some holiday cheer! 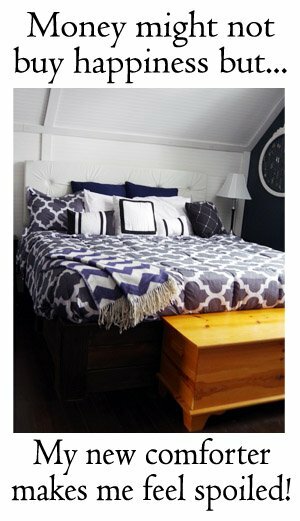 I used one of my plaid throws to add the colors I wanted to the space. From there, my beautiful old oil lamp of my grandparents’ got center stage. My new wreaths came in from outside my home and hung on either side to create some symmetry and another splash of red! I had a whole bunch of extra pine cones left over both from my wreaths and from my ornaments so I put them to work here too. From there I used cotton as “snow” across my mantel up to my mom’s angel that my uncle hand carved and painted many years ago. I also made a purchase of a short string of twinkling lights off of Amazon to run along in my “snow”. As always my grumpy Santa joins the party as well. All in, I am officially in the mood for some apple cider and the holidays! 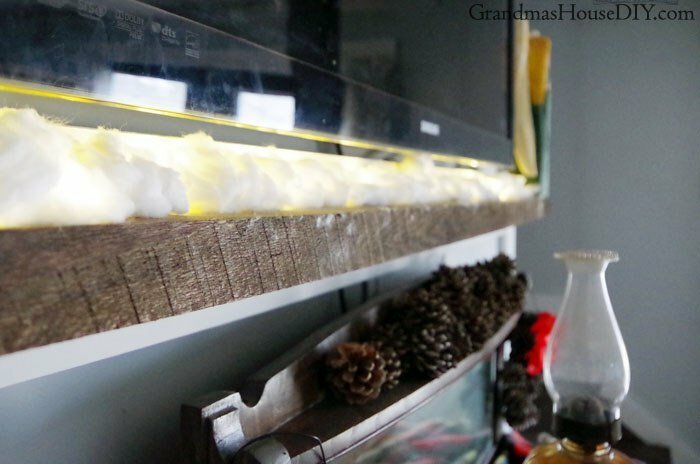 Scroll down for many more DIY Decorating Ideas for your holiday season! 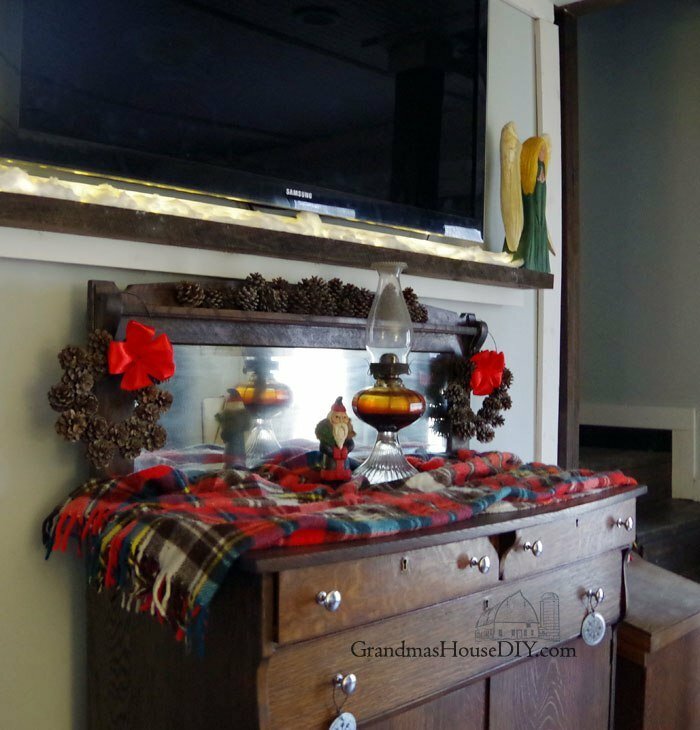 The plaid blanket looks great on the mantel and it definitely gives it holiday cheer! Love it! Your Manel looks really festive and rustic, I love that buffet! Thank you Katrin! The buffet was an old piece of my Grandmothers, it is totally my favorite! I love the plaid throw on that buffet and what a magnificent piece of furniture. I will be looking at many of these ideas. Thank you! It is VERY old piece from the other side of my family (My dad’s mom) I just absolutely LOVE it! What a cute buffet! 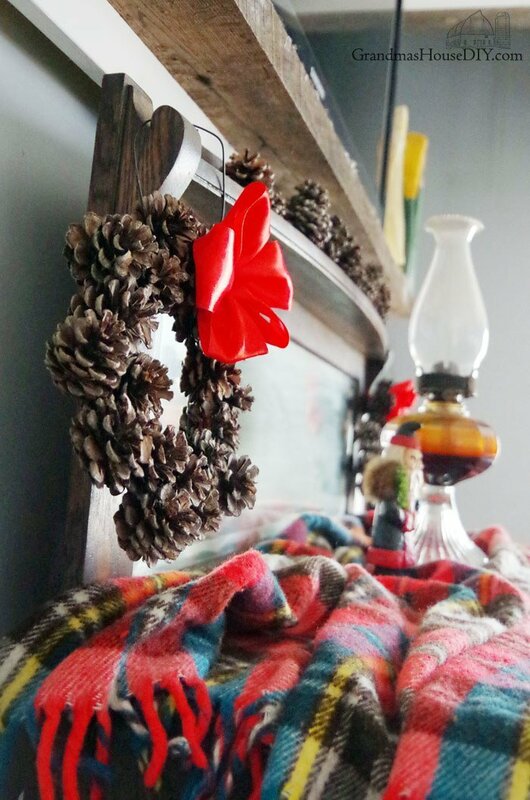 I am a huge fan of anything plaid so I am loving the idea of using a scarf for decor! Thank you Wanda! That buffet was one from my grandmother, it is absolutely my favorite! Hello, Letting u know I made a pine cone wreath yesterday, inspired by the 1 u did. No place to post a pic. Oh that’s wonderful Suzanne, I hope it went as easy for you as it did me, I’m definitely going to be making more of these! 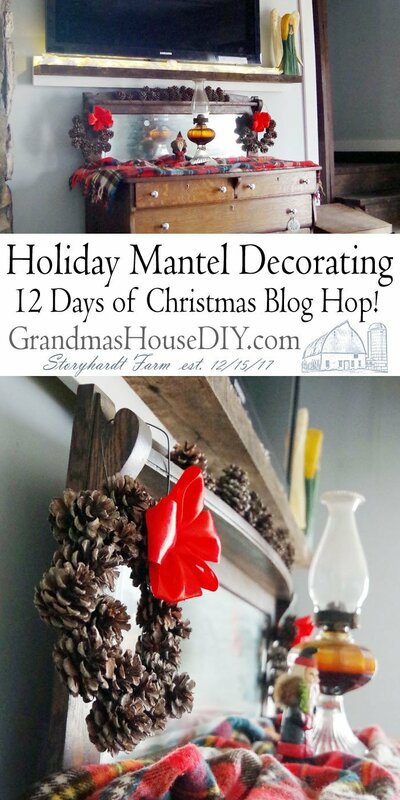 I love how rustic and homey your sideboard and mantel look! Very much an old country home look to it. Hey, take a look @ the wreathinspired by yours. 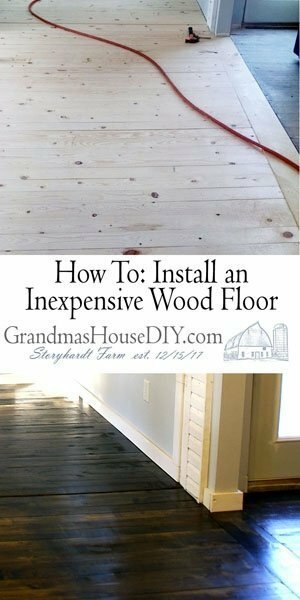 Posted on Facebook, “Farmhouse & Rustic Decor today. Thanks. That’s amazing Suzanne, thank you! Hope you had a wonderful Christmas!